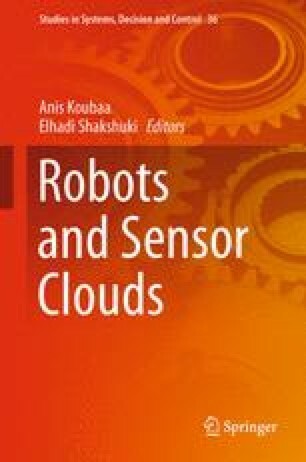 Cloud robotics is currently driving interests in both academia and industry, especially for systems with limited computation capability. Resource allocation is the fundamental and dominant problem for resource sharing among agents in the cloud robotics system. This chapter introduces a novel resource allocation framework for cloud robotics and proposes a Stackelberg game model and the corresponding task oriented pricing mechanism for resource allocation. Simulation investigates the parameter selection and time cost of the proposed mechanism. Experimental results of co-localization task demonstrate that the proposed mechanism achieve an optimal performance in resource allocation. This work is supported by RGC GRF Grant CUHK14205914 awarded to Prof. Max Q.-H. Meng; partially supported the Research Grant Council of Hong Kong SAR Government, China, under project No. 16206014 and No. 16212815; National Natural Science Foundation of China No. 6140021318, awarded to Prof. Ming Liu.